Have you ever put your baby down for a nap, for them only to wake from a cat nap only a few minutes later? Maybe your baby only sleeps 10-20 minutes at a time or won’t stay asleep for more than 30 minutes. This is known as a cat nap and many babies do it. Not only can cat napping be hard on the baby, it is so hard on mom and dad. Considering napping is the only time you get the chance to take a shower, this is a big deal! Your baby is not in a routine- Maybe your daily routine is currently messed up or you have yet to establish one, but this is a major reason why your baby isn’t sleeping longer than a few minutes. Rather than you try to squeeze your baby into your routine, try squeezing into theirs. Babies are much needier when it comes to needing a consistent schedule. A cat nap may be their way of showing you they need a better more consistent schedule. Your baby is overly tired- I’ve seen this with my kids so much. It’s like they are tired, but they do not want to sleep and it’s because they are overly tired. For some babies, you have a small window of opportunity to get them to sleep and if you miss that, then they will simply not stay asleep. Try to get your baby asleep as soon as you notice they are tired, this will help them sleep longer! Your baby needs white noise- Our house is super small and we need a fan running whenever our baby is sleeping. When you live in a small house, the baby can hear every little noise, so it’s important to make sure something is drowning out that noise. We actually have a fan on our microwave that’s on whenever she’s asleep. Some may call it weird, I call it keeping my sanity. I’d much rather have white noise in the background than to have her taking a cat nap and waking up cranky. You’re not being consistent with the nap times – Let’s say you put your baby down for a nap one day 10AM and another day at 1:00PM, they’re not getting consistency. It takes a lot of consistency to ensure your baby sleeps on time, every time. So make consistency an everyday part of your day, but especially at nap time. Your baby is going through a phase- I’ve had four kids and I’ve noticed that no kid is going to nap every single time you lay them down. One of those reasons is because they are teething. Every baby spends time teething and it puts them through a lot. Think about when you have tooth pain, you don’t exactly feel like sleeping or doing anything. Your baby may be taking a cat nap because they are in pain, or perhaps they are growing up and aren’t quite sue if they need that extra nap each day. When it comes to a baby taking a cat nap, it’s usually a phase. However, sometimes your baby is just programmed to take small naps. The best advice I can tell you is to take it as it comes and know that this cat napping thing won’t last forever. If these tips don’t help, you may want to look into some books about helping baby sleep schedules, or ask other moms for their recommendations. 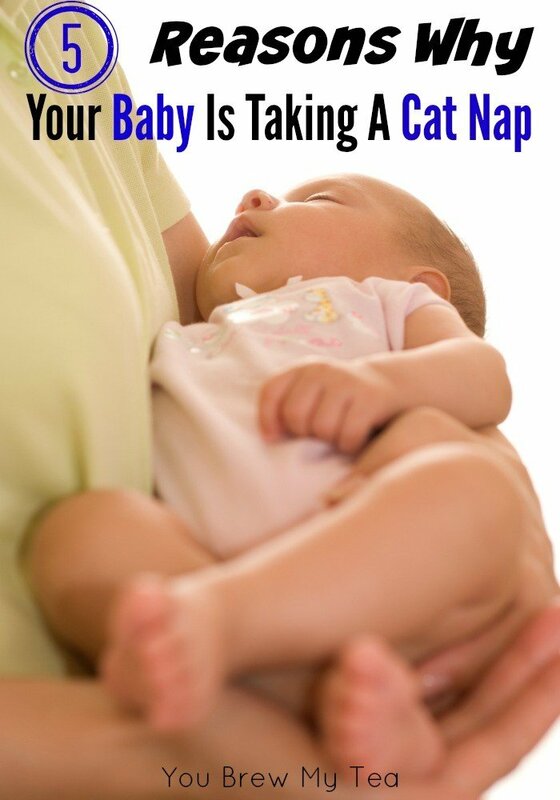 Have you ever had a cat napping baby? What did you do to get your baby to sleep longer? Check out our other great tips for new moms! Consistency is a key! I wasn’t really aware how half an hour difference in my daytime schedule may affect the baby sleep. For me it’s like a normal delay and for my little princess it’s like the whole big change. I’ve learned those things from my sleep training book. I got from my friend but it’s authors web: http://www.parental-love.com. I got it at 2 months and it was 2 months too late. I would have been easier having it from the beggining and knowing how to plan your day and keep the schedule.